Since going on the Eurostar for the first time earlier this year, I have been on a constant look out for cheap train tickets. 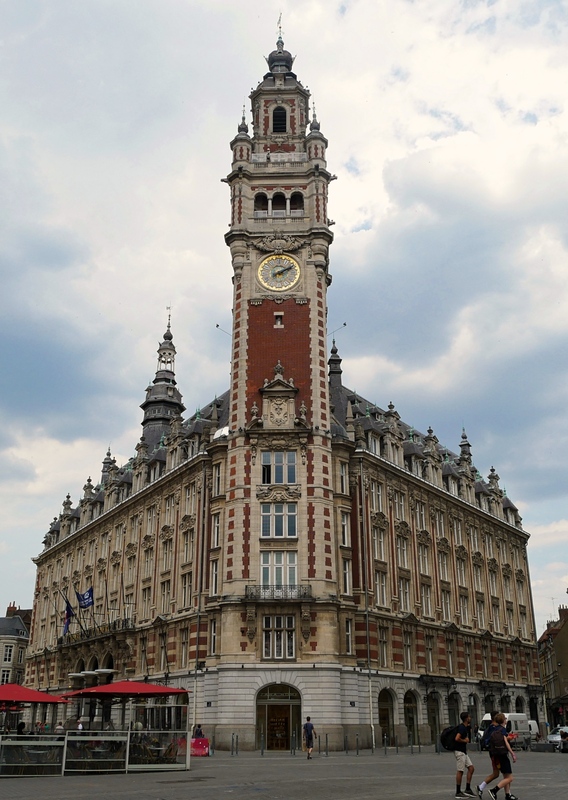 Back in July, we found some cheap return tickets to Brussels and decided to do a stop over in Lille. It was actually cheaper to go via Standard Premier, rather than the usual Standard tickets, so it felt like a no-brainer. Our hotel was in a really handy location, right next to the train station. The Novotel Suites Gare Lille Europe are basically apartments with a very small kitchenette. Downstairs in the reception, they have meals that you can take to have upstairs in your room. Not something that I thought I’d really need on holiday, but we were in Lille during the weekend of the World Cup and so we actually ended up needing to have dinner in the hotel as all of the restaurants were packed. It was about 9.30am on a Saturday morning when we got into Lille. After checking into the hotel, we wondered into the city. It was fairly quiet, but then we got to the main street and saw that a parade was going to take place. Turns out, it was Bastille Day! They had a parade with lots of different service vehicles. It was shaping up to be a lovely day, so rom there, we went for a bit of a walk and had some lunch, before doing some more walking and heading out for dinner. The restaurants were packed but luckily we managed to get a table at a really cute restaurant with a courtyard. I didn’t manage to get any photos sadly. The next day, it was the day of the World Cup. We decided to go for a bit of a walk before heading somewhere for some food and to watch the game. We stumbled across this cute little park and square, before finding a walkway by the river…we didn’t even know that Lille had a river! From there, we went to the Lille Cathedral. On the outside, the architecture isn’t quite what you’d expect from a French cathedral – it’s a fairly new building which was completed in 1999. Inside, they’d lit it up with red, white and blue lights…not sure if these were for Bastille Day, the World Cup or both! It was a pretty cool cathedral, very different from the ones that you usually come across when abroad. After that, we stopped in a restaurant to watch the football. Obviously France won and the atmosphere was incredible!! They certainly know how to celebrate…but then it got a bit much with so many fireworks being set off in the square (we even saw one girl who had been hit by one), so we decided to head back to the hotel for some food. The final morning, we went for a bit of a walk in the centre of the city. We decided to have one last look around the Grand Place and take in some of the sights, before heading back to the train station to catch the train to Brussels. There’s still a lot of the city that we haven’t seen, so I’m looking forward to going back and doing some more exploring!